DIRTY THUNDER COMEDY NIGHT WITH CACTUS JUICE & BIRTHDAY FUN! Dirty Thunder's premier weekly event, one of Sydney's best Comedy Nights and the HOME of Dirty Thunder itself! 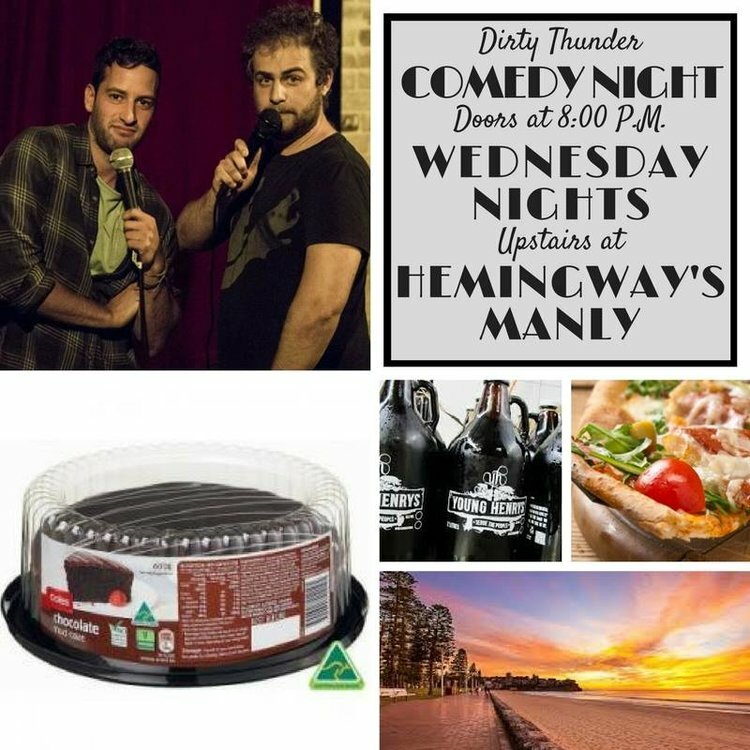 Every Wednesday Night, come along to the Manly establishment that isHemingway's Manly, get yourself a $7 Young Henrys, a $10 pizza, make your way up the secret staircase up the back, take a seat and ENJOY as some of the World's BEST comedians give you stomach pains due to extreme laughing. Tickets are only $5! Click here to buy now.